Remember me Forgot your sign in? DISCLOSURE STATEMENT: All author(s), contributor(s), editor(s), and CME Office Reviewer(s) state that they do not have any financial arrangements with commercial interests that could constitute a conflict of interest. Manage difficult symptoms commonly seen in palliative care and end-of-life patients. Coordinate palliative care between professionals and across institutional settings. Refer a patient for hospice and end-of-life care. Learning Format: Case-based, interactive online course, including mandatory assessment questions (number of questions varies by course or module). Please also read the Technical Requirements. The University of Arizona College of Medicine - Tucson is accredited by the Accreditation Council for Continuing Medical Education to provide continuing medical education for physicians. The University of Arizona College of Medicine - Tucson designates this enduring material for a maximum of 1.00 AMA PRA Category 1 Credit(s)TM. Physicians should claim only the credit commensurate with the extent of their participation in the activity. 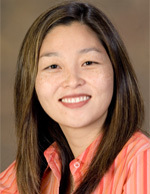 Dr. Lee is Assistant Professor of Clinical Medicine in the Section of Geriatrics and Gerontology at the University of Arizona College of Medicine. She is Co-Director of Supportive Care Services at the Arizona Cancer Center in Tucson, Arizona, as well as Medical Director of Palliative Medicine at University Medical Center and the Arizona Cancer Center. She is currently starting a Hospice and Palliative Medicine fellowship at the University of Arizona. Previously, she was on faculty at Rush University in Chicago, where she was the Medical Director of Heartland Hospice. Disclosure: Dr. Lee states that she does not have any financial arrangements that could constitute a conflict of interest. John Harris Jr., M.D., M.B.A.
Dr. Harris is past Executive Director of the Office of CME at the University of Arizona College of Medicine. Dr. Harris has served as the Principal Investigator on multiple NIH-funded studies of online CME, and he is the author of a number of professional papers dealing with online CME. Disclosure: Dr. Harris states that he does not have any financial arrangements that could constitute a conflict of interest. How would you rate this program overall? How well were the learning objectives of this program met? Very informative. Links in text were also helpful. not much useful information was communicated. the questions do not always seem to be relevant to the material. it seems like it was just thrown together. A good training, although not all pertinent to the ED, where I work. Some will definitely be helpful and good to understand what happens in the hospital. Excellent course ,informative and useful.. This course meets general AMA PRA Category 1 CME Credit(s)TM requirements in states that have a CME requirement. May be counted as risk management credits. For additional information, read the Technical Assistance FAQ.